Assign me a mission and I'm off to scout out paper decorations... that was the case earlier this summer when my sister mentioned a September baby shower was being planned for her daughter-in-law. 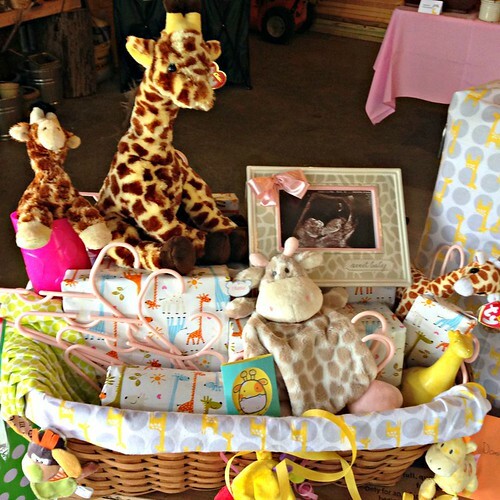 The themes were varied... giraffes, hearts, books, autumn and pink, since the expected baby is a girl. 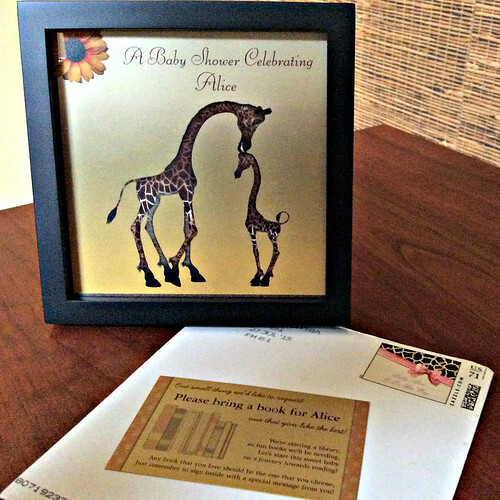 The totally remarkable, customized Zazzle invitation (believe it or not, they offer more than 7700 giraffe designs) tied together the themes so well... it features sweet giraffes with their necks almost in a heart-shaped pose and an autumn-toned blanket flower. 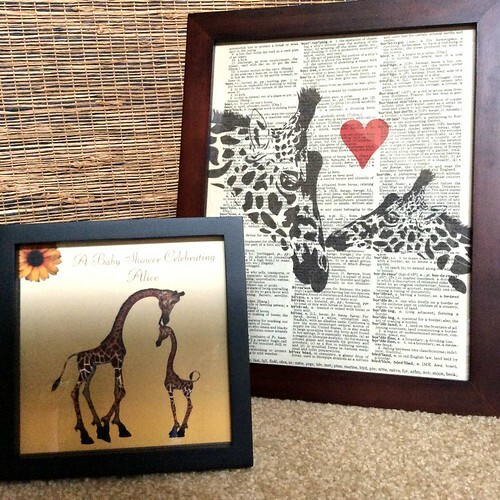 The custom Zazzle stamp pictured a giraffe print, as well as pink lettering and ribbon. A little poem on a card inside invited guests to bring a book to launch Alice's library. A recent Etsy email named 2015 the year of the fox... okay, maybe so... foxes have certainly been prolific on the design scene. But I'm convinced the giraffe will be in the running as 2016's hot. new. trend. 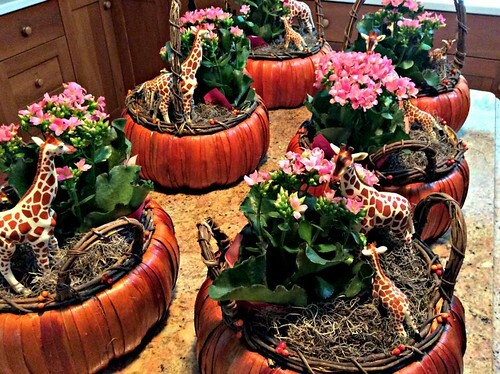 It was quite easy to round up a whole herd of nursery-appropriate giraffe ideas! My first thoughts regarding favors had me turning to Cecelia Louie of Etsy shop Paper Zen and the adorable animal boxes she made for a previous baby shower. I was so happy that Cecelia had time to die cut a batch of dotted pink giraffes as a favor for me after returning home from her Craftsy adventure in Denver. She was there to film a Quilled and Sculpted Cards online class... stay tuned for more about that in a future post. Because the coed shower menu had ties to autumn harvest, I suggested filling the favor boxes with candy corn. But not the traditional colors, because you know... baby girl. Guess what? Candy corn is available in pink and white. 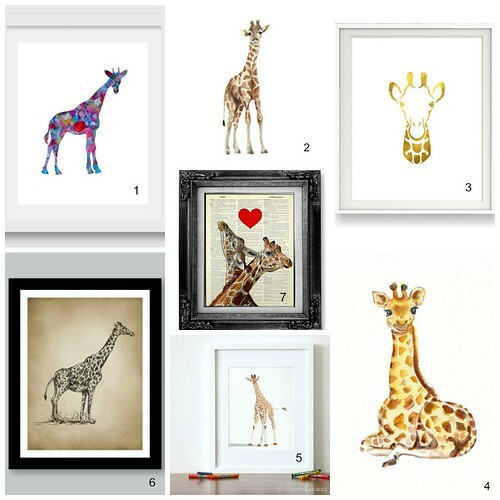 ...so sweet and at buy one/get one free, it really can't be beat... well, unless one of these other giraffe nursery prints steals your heart instead. I tell you, there are so many great choices once you start to look. 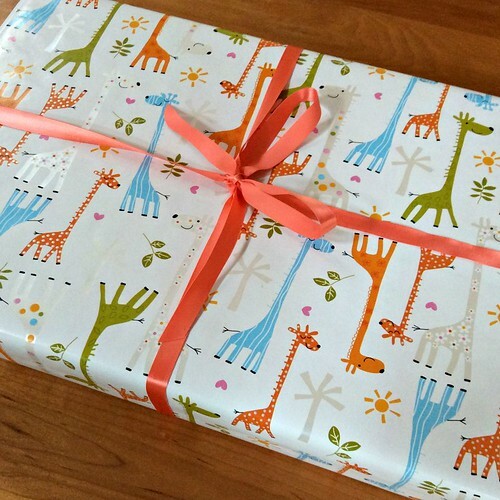 Presents are meant to be wrapped of course, and so my sister ordered this super-cute giraffe wrapping paper from party shop Wrap and Revel. By the way, owner Melissa Bilyeu just launched her very own line of gift wrap and party goods at Revel and Co. I've been ogling the selection of papers, tags, ribbons, stickers, straws and it looks so great.... Scandinavian, tropical and tribal are just a few of the themes. 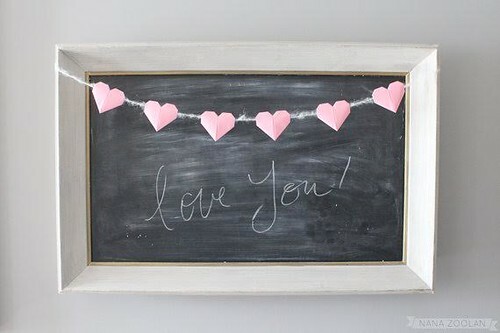 like an extra long garland of pink origami hearts strung on fuzzy white yarn from Etsy shop NANA ZOOLAN. It served double duty as a shower decoration. One last photo... sooo many cute toys and accessories! So sweet! I love the giraffe print on the dictionary page. The mama and baby honored at this shower must feel so special! 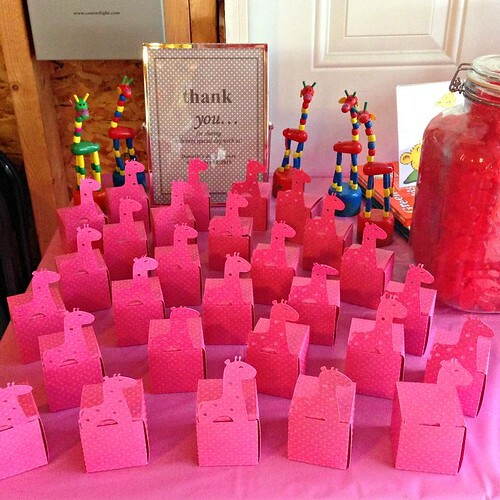 Ohh wow!...Loved the pink giraffe boxes Ann! Wow, so much giraffe cuteness! 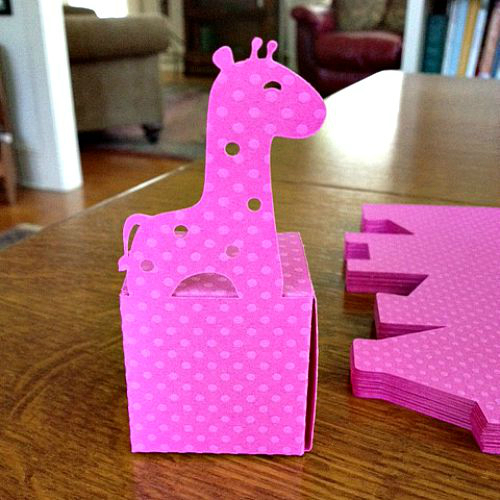 Cecile's boxes are adorable, and those giraffe pei to are gorgeous!